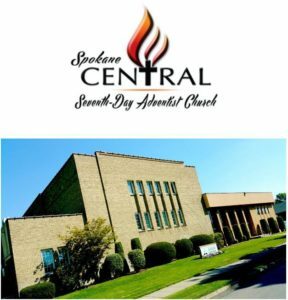 For over a year now the Spokane Central Church has been planning and preparing for these reaping meetings. Our primary focus was to reach those who were part of our interest list developed over the year. We have contacts with people from our many ministries like: God’s Closet, STEAM Ahead @ Discovery Junction, VBS, Kids Bible Club, Pathfinders, local outreach seminars, weekly Bible studies, small groups, and many from just our regular Sabbath worship services. We had about 30 active interests that we specifically were hoping would join our meetings in some way. About 10 actually did participate. We also love how local evangelism re-inspires and revives our membership as well. So we also reached out to our inactive or infrequent members. We were very pleased to average about 90 adults and 10 kids for our meetings each evening. About 30 of these in regular attendance were part of our specific target group. And we continue to see growth and spiritual development from these contacts. We currently have 7 in active baptismal preparation and another 13 filled out decision cards saying they are “rededicating their lives to Jesus” in response to the meetings. Our theory for the meetings was simple: construct them in a way that removes the normal barriers/excuses that people have to avoid them. By reducing the meetings to just Fri/Sab and sharing 2 topics on each night, we were able to share 17 fundamental teachings in 3 short weekends. By providing meals and childcare it made the meetings very accessible and enjoyable to all. We also kept the timeframe palatable by keeping them to 2 hours (6pm-8pm) and that included the meals. So the first presentation was from 6-6:45, meal from 6:45-7:15, and second presentation from 7:15-8pm. We had very few preliminaries or added “fill” and kept things simple. We had limited music, with just a “theme song” after the meal to welcome people back to their seats, and then wrapped up each evening with a special music presentation as people contemplated the topics heard that night. I am VERY pleased with how things turned out. I currently project we will have 6-8 baptisms as God still moves on hearts and I am shocked at how many of our own members still tell me they have not heard some of these teachings before (even the lesson on eternal torment??) We have created a survey asking people to respond to how the meetings went and so far the responses are very favorable. Our fellowship hall proved the perfect venue for the evening meetings and our Outreach Team is excited to learn from this attempt and make it even better next time. Since our main target audience is our ongoing interest list, we avoided the normal large expense for public marketing, although we are not opposed to doing more of this in the future. I am thankful to God for his protection, inspiration and blessings for allowing our church to hold these meetings. Our members are not exhausted (some are already asking “When can we do this again?”) and our interest list keeps growing. I know God still has great plans in store for our church as we follow him and are faithful to share His gospel with our community.